Want to keep an already fun fighting game fresh? You add downloadable content. And if you’re Warner Brothers Interactive with a game focused on a particular IP (the DC Universe), you change things up by bringing in somebody from another publisher. Somebody, by the way, with a new movie in production that could stand to capture a whole new audience. 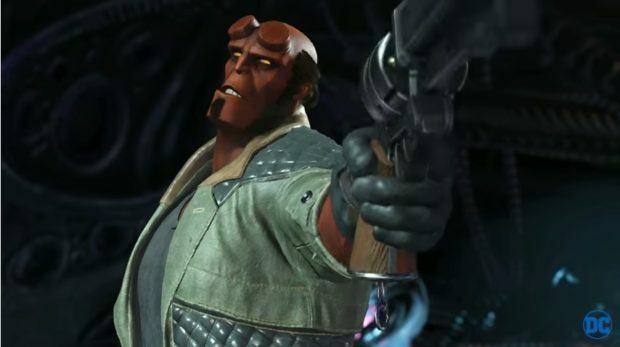 Check out the video below which shows off Hellboy’s moves, including taking his opponents home.